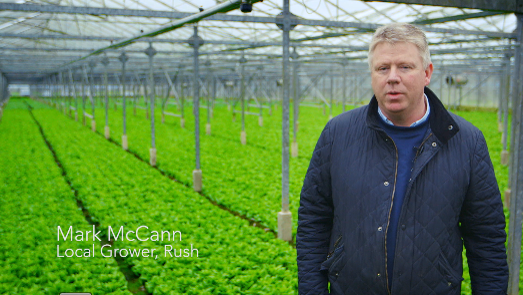 Mark is a Pak Choi, Butter head and Little Gem Lettuce grower, based in Dublin. Take a video tour of the farm. I’m a third generation farmer and my family has been based in Morning Fresh Farm near Rush, Co. Dublin, for over 40 years. My grandfather started farming the land and it was he who laid the roots of the business back in the early 1970s. We started off growing tomatoes, cucumbers and lettuces but as we found ourselves out of production for long periods we changed the direction of the business nearly ten years ago. We’re protected growers who today, supply Pak Choi, Cos, Baby Gem and Butter head lettuce across the island of Ireland. We are now in production twelve months of the year, which has led to the expansion of my business from a mere two acre site to the sixteen acres you see today. I was the first grower to introduce Pak Choi into Ireland and my business as a result, has grown from strength to strength. I was also one of the first growers in Europe to trial a new variety of the crop and as a result, growers throughout Europe have started to introduce this particular variety into their greenhouses. 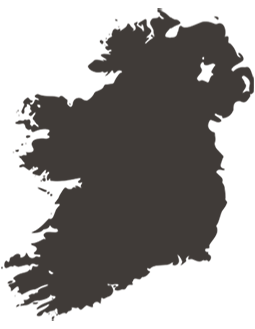 I am dedicated to delivering the best quality produce I can and I am continuously improving and evolving my business to meet the demands of my customers. I am also devoted to supplying the freshest produce I can, by delivering where possible, produce which has been harvested that very same day! My family and I have a long standing relationship with Total Produce and they have helped us expand our business to what it is today. By freeing up certain elements of the business they have allowed me to concentrate on what I know best, and that is growing the best quality produce I can! I am situated in the heart of North County Dublin in Hayestown, which is approximately 3km from Rush. I am located only 30 minutes from Dublin City Centre and 20 minutes from the nearest Total Produce depot.